Check out Spotify and the other streaming Services. 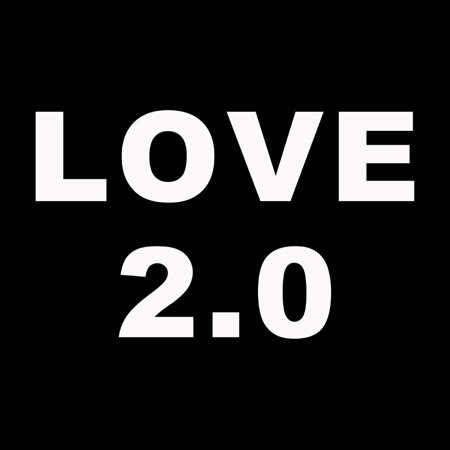 A new EP appeared, called Love 2.0 by the artist Love 2.0. It's supposed to be Dave Stewart with Judith Hill (and a guest appearance by Bootsy Collins). It's a set of four funky songs! Well worth a listen! Why was this thread moved to the ‘non-prince’ forum? Isn’t Judith Hill associated anymore?? This Love 2.0 music sounds pretty good. But from what I can see Judith is only featured on one of their songs. Really according to Dave Stewart its the whole EP, and I have listened to it and its her all over the place especially the last track where she is making phone calls saying "Hi It's Judith"
Where? Google doesn't seem to help much. So if there is more direct info please feel free to share. Yeah, I listened to the EP but I can only vouch for the last 2 songs just by listening. There's no other info given on Tidal except Bootsy's contribution. So it would be nice if there is more info somewhere not everybody moves around in Facebook. Ok, The link I posted said Love Connection by Love 2.0 blah, blah, blah. So I guess it's a matter of interpetation. I saw it as meaning that one song myself, not the entire thing. So I'm assuming others would see it that way to. No explanation if Love 2.0 is just him and Judith or anything else seems to be available. Odd. Does she have this information posted anywhere about it? Is there some issues we aren't aware of going on between the 2 of them that nobody wants to be in the middle of? Seems really odd to be this vague about promoting projects. She was a background singer on some of Dave’s records too. They even shared a stage with Nik West in 2013 already. great find! i like it a lot! It does sound nice. I just like to know what the heck I'm walking into. Well its not really too surprising I mean she is trying to work her record but she also has 4 other singles out that arent even on the album, including "BEtter Days" and also "Footsteps" which early on she mentioned it would be on the album, but hearing the album i dont think it fit the overall perfect picture. Dave Stewart, watch your back around Miss Hill .....just when you think its safe..
Really? Maybe they shouldn't have been getting the drugs from whomever they were, actually if it weren't for her he would have died on the plane. Yes they also did "Here Comes the rain again" back in 2013 long before Prince had seen Judith she was all over the place.